Keeping your facility clean, organized and uncluttered not only reduces the spread of germs, dust and allergens, it reduces the risk of illness and injury. In addition to undermining productivity and motivation, clutter can cause employees to accidentally trip, slip and fall. According to the Occupational Safety & Health Administration [OSHA], workplace accidents and illnesses cost companies $60 billion every year in lost productivity. BizChair maintains a wide variety of mops, buckets and scrubbers that clean, polish and kill germs. 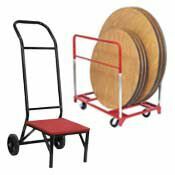 We have carts and dollies to move heavy items with ease. 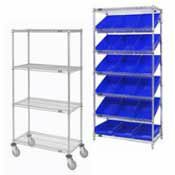 Our shelving and storage systems will help you stay organized. And products from cleaning solutions, scrubbers and brushes to hand sanitizer, soap and air freshener are sure to keep your place looking good and smelling even better. 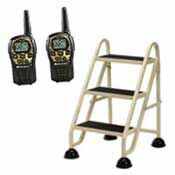 Carts and Dollies, Crowd Control, Shelving Systems, Safety Storage, Janitorial Supplies, Restrooms, Receptacles and Safety.